The most usual way to have a sailing holiday in Greece is to charter a bareboat yacht. This means that the charterer pays for provisions, water, fuel, mooring fees, end cleaning and must leave a damage deposit. If you don't have a qualified yacht captain in your group, then you hire a local one at around 140 euros per day plus food & tip. The more up-market option is a fully crewed yacht charter sailing holiday. This is where you and your guests are treated like VIPs on a more expensive yacht and the crew cater to your every whim and desire. This is typically the most expensive option. So where does Captained Yacht Charter fit? Captained Yacht Charter lies between bareboat with rent-a-skipper and the traditional fully crewed luxury yacht charter. Once you board the yacht, that's it - it's all paid for! No extra charges for items needed on a quality sailing holiday. You are not required to leave a security damage deposit. You are not required to pay for the Captain's food and drink. There is no hassle or wasted time for the 'Check In' or "Check Out' process, unlike a bareboat charter. All provisions for the cruise have already been purchased and stowed ready for departure. All official paper has been taken care of in advance. As soon as you board your yacht you are able to leave the dock within an hour of arrival. At the end of the charter you can leave immediately - no departure procedures. The sailing environment is never stressful and always easy-going, relaxing and fun thanks to your expert and friendly captain! It is not neccessary to have any sailing experience. For those interested, you have the opportunity to learn how to sail via the captain's example,guidance and help. If this sounds like the type of sailing holiday for you then Metallas Yachting and Chandler Yacht Charters in Greece are recommended companies with many years of experience in organizing captained yacht charters in the Greek Islands. Both companies own and manage a selection of excellent yachts for this purpose and have teams of highly qualified captains and office personnel to help you plan and experience the best vacation of your life sailing in Greece. Chandler Yacht Charters was founded in 1998 by Jonathan Chandler who has previously worked in the US and Caribbean Charter markets. The company has offices in Athens, the USA and England. 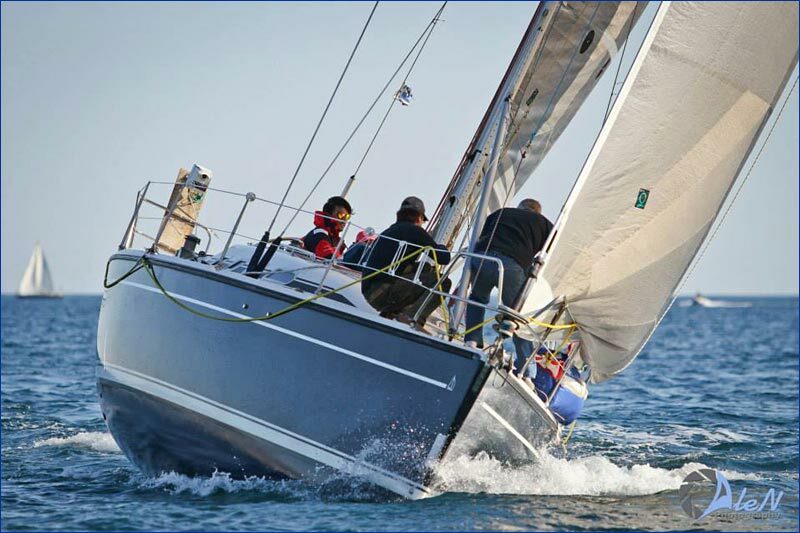 Metallas Yachting was founded in 1986 and its owner Captain Metallas has 35 years experience in all aspects of the Greek yachting industry.